Our drivers are an essential part of the Fresenius Medical Care team and transport dialysis machines, medicines and supplies to patient homes, hospitals and clinics every day. They are on the road building meaningful relationships with patients and clinicians, delivering the materials needed to continue life-sustaining treatments. 1. Drivers begin their days by reviewing logistics. Shane loading his truck with supplies. Drivers working the day shift, like Shane, typically begin their mornings between 5 a.m. and 7 a.m. When they arrive at work, the first thing they do is check their paperwork and determine their routes for the day. 2. Drivers load and inspect their trucks. After checking their paperwork, drivers load their trucks. Once loaded, drivers perform a quality check to ensure their trucks are in top condition and safe to drive. According to Shane, they do a thorough inspection of the fluids, belts, hoses, tires, lights and the body itself. “Pretty much any and everything on the truck, we’ll inspect to ensure it’s roadworthy. Then we’ll head out on the route,” he says. 3. Drivers head out for deliveries. Some routes may consist of only one or two stops per day, with several hours between destinations, while other routes may include as many as 10–15 shorter trips. Regardless of the number of stops or distance driven, shifts average between 9.5 and 12 hours, allowing our drivers to be home at night with their families. 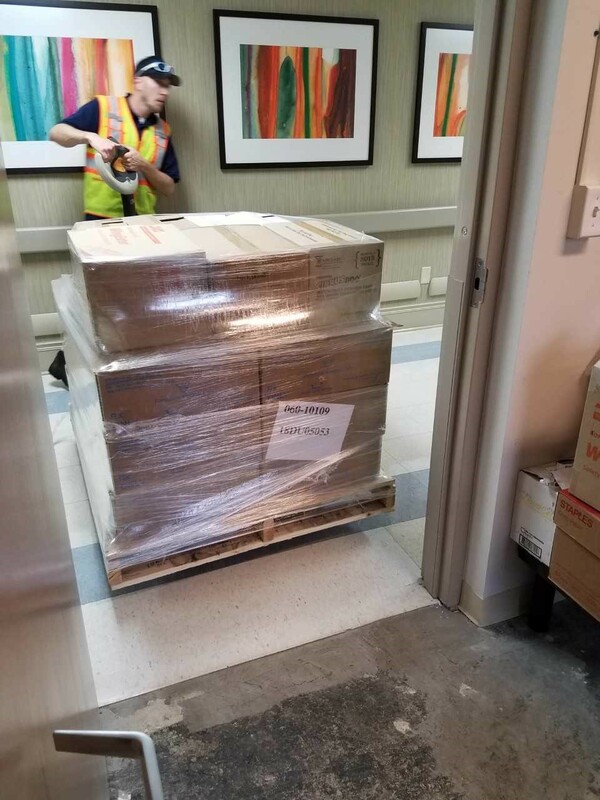 A delivery to a patient’s home might include boxes of gauze, tape and/or solution. Hospitals and clinics often receive bags of salt and cases of bleach, vinegar and acid concentrate. For all locations, drivers always call recipients 30 minutes prior to arrival to ensure that a patient is aware or a site is prepared for the delivery. 4. Drivers arrive and make their deliveries. “For home patients, we bring everything into the house, and rotate their stock. We’ll get patient signatures and ensure that the products that we deliver are the products on the manifest,” Shane says. 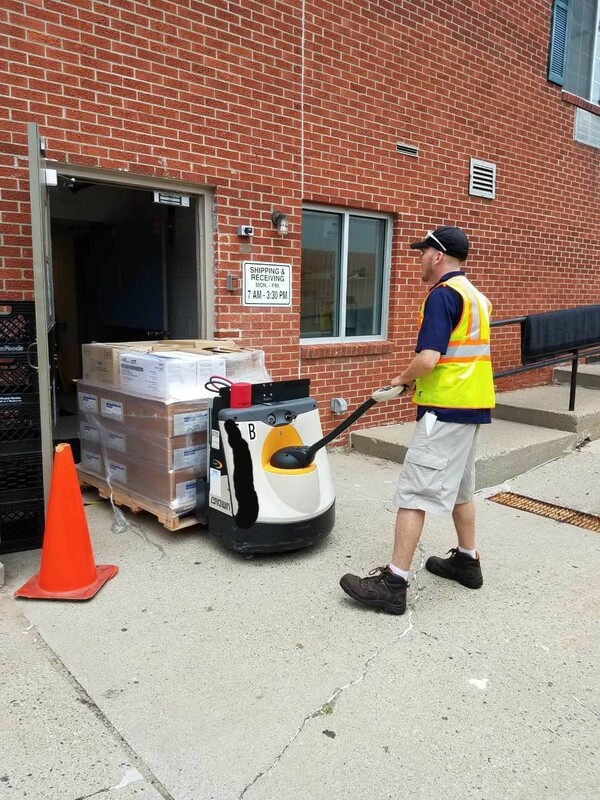 The clinical process is similar - drivers back their trucks up to the facility and bring the items in to their respective locations. Shane dropping off products at a local hospital. 5. Drivers say goodbye and move to their next stops. After completing their deliveries, drivers say goodbye to home patients and clinical employees before heading to their next stop. 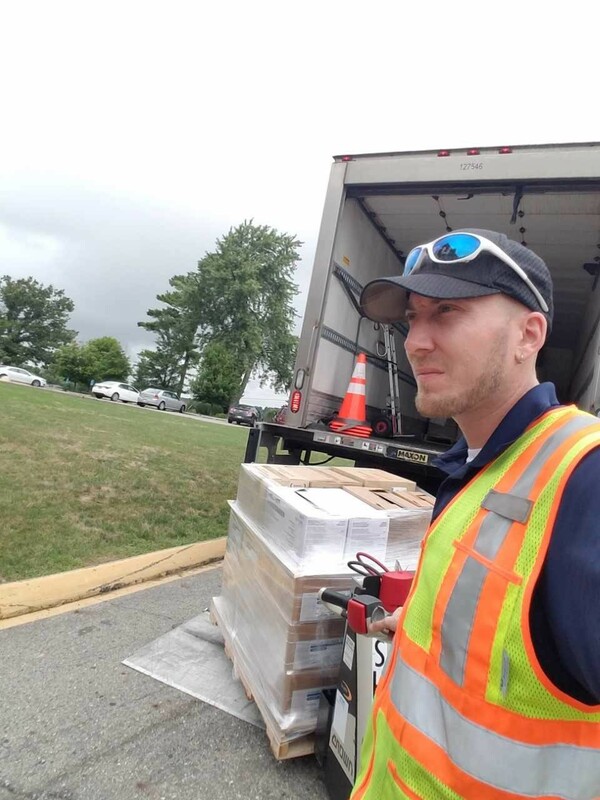 Shane explains that the entire delivery process is a very rewarding experience that allows him and other drivers to make a positive impact on the lives of patients. Are you searching for a rewarding career opportunity? Play a vital role in the lives of people living with kidney disease by delivering the equipment and supplies they need for their care. Explore our driver openings today.